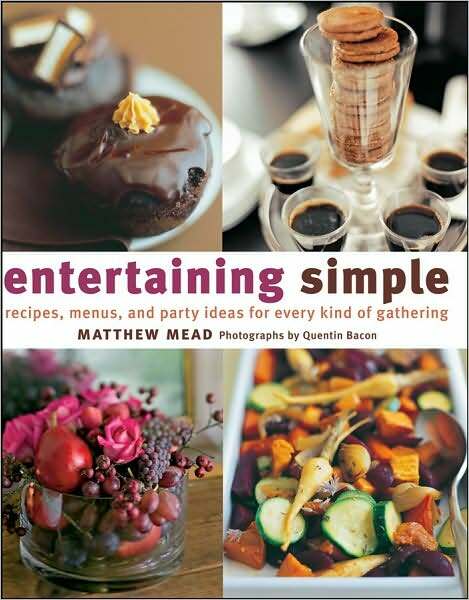 Can you share what your must-have entertaining basics are? I noticed your white ruffle cake stand and tall glass cylinder. Any others you always go-to? As to an answer, I wish I could say I had a handy little list of entertaining must haves but Im simply not that organized. I tend to throw together my parties with what I have at the time and I pick up a thing or two depending upon the occassion, if needed. But spurred on by your question, I do have a few suggestions of what I find important to setting up a lovely buffet or display. I try to avoid plastic whenever possible. And a few sets of small cocktail plates prove very versatile and inexpensive. 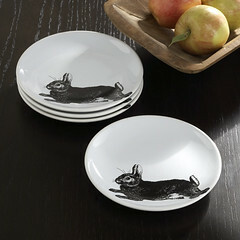 You can find them in all sorts of designs too like the whimsical example above from West Elm. Personally I have I have two sets with small imprints of wine and cheese that I received as a gift a few years ago and I use them constantly. Any sort of large flat black board will do. I have a slate one that is good for smaller cheese plates and when I have more people over, I tend to use a large black cutting board I have handy. Having a board makes it easy to put the hunks of cheese down and then fill in the spaces with crackers and fruit. Always a crowd pleaser. Here is where you can add some height to your display. Very important for visual interest. It has some obvious uses (um, cake?) but a cake stand/footed bowl also makes a great spot to create a centerpiece, display favors or a host of other uses. I have a ruffle one from Williams Sonoma but I have my eye on the milk glass set pictured above from Martha Stewart. Other things that I also like to keep on hand: Clear tumblers for any kind of drink, a big tub good for keeping bottled drinks on ice, plenty of flatware and a big stack of plain white paper napkins. I was very fortunate to be one of the winners of a contest that Restyled Home hosted to celebrate Matthew Mead's new book. My autographed copy arrived last week and I finally got a chance to pour over the beautiful photographs and practical tips Matthew includes. I wish I could add a few of my favorite photos in the book but Im afraid illegal scanning of a gift book would be in bad form so I can only share my comments. A good deal of this content is devoted to suggestions about what serveware you should have on hand for a party and its a very good list.  This is the perfect gift to give to a new homeowner or bride&groom. If you are looking for a better answer to Raye Law's question, I definitely suggest you pick it up. Thanks for sharing this!! I was actually wondering the same thing. your parties are always beautiful and they constantly make me jealous!!! LOVE your style! I don't think you're "clearly an amateur entertainer" at all! Your ideas are pretty great, and your tables and parties always look pretty darn polished to me. Love the tiered stand. I bought one for an anniversary party I threw for my folks a few years ago, and not sure how I lived without it before! So versatile. Love the tiered serving dishes! OH Wow! I feel sooo honored! Thank you for responding to my question. I thoroughly enjoyed your response too! I picked up a ruffle cake stand almost identical at our TJ Maxx (Marshalls/Homegoods) store for 9.99 or so. Love it. Such a great idea about the smaller plates and well all those were great ideas. I will definitely check that book out too. I love your down to earth yet chic style and the way you relay it to your readers. I entertain a lot and LOVE the chalkboard cheese platter idea! Thanks so much for sharing. So glad to know there are others who insist on real plates and silverware. They set such a nice tone for a party. I'm afraid we're a dying breed, though. I've been to parties at lovely homes with lovely food and then paper plates. These are people who have beautiful china; I have no clue what they're saving it for! PS You are FAR from an amateur entertainer! super tips...never thought about the cheese plate before but it is pure genius. chic and laidback all in one! oh and fyi I am dying to see your holiday greeting cards for this year...I might actually have to steal your christmas music cd idea...that is sooo adorable! I am glad you are enjoying the book. One of my favourite ideas from it, is when he used a simple cake platter to serve pancakes. Seeing them stacked up high on a pedestal inspired me to do the same. My kids were duly impressed!! it was a wonderful idea.